Molina, a homosexual who is serving a sentence for allegedly corrupting a minor, sits in a prison cell in an unnamed Latin American country. The time is the recent past. Lonely and tormented, he hears the seductive, beckoning voice of the Spider Woman (“Prologue”). 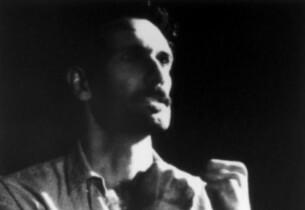 Valentin, a Marxist revolutionary, is brought to the prison as a suspected terrorist. Severely beaten and unconscious, Valentin is thrown into Molina’s cell. Horrified by Valentin’s condition. Molina conjures up the screen goddess Aurora and escapes into one of his cinematic fantasies (“Her Name Is Aurora”). 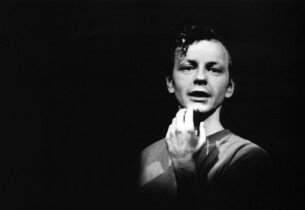 While the prisoners long for freedom (“Over the Wall I”), Valentin regains consciousness. Despite Molina’s efforts to engage him in conversation (“Bluebloods”), Valentin ignores Molina and rudely rejects him. Undaunted, Molina flamboyantly introduces himself and tells Valentin about his expertise as a window dresser (“Dressing Them Up”). Valentin angrily tells Molina to leave him alone (“I Draw the Line”). Molina tells Valentin to think of a woman in his life, that the memory will help him cope with his loneliness. Molina says he thinks of his mother. Thus encouraged, Valentin thinks of his girlfriend, Marta (“Dear One”). The prisoners also wonder what their friends and families are doing without them (“Over the Wall II”). Molina teases Valentin about his ginfriend Marta. As cries of tortured prisoners echo throughout the prison, Molina tells Valentin how, as a child, he spent hours watching movies at the local cinema where his mother worked as an usherette. He confides in Valentin about his passion for movies, especially his love of the beautiful movie star Aurora. He admired every movie she made except one, where she played the Spider Woman, a figure of death. Molina believes the Spider Woman is real and claims that he has seen her in the prison. Valentin calls him a fool. Yet, escaping into these imaginary, glorious movies helps Molina cope with the cruelty and terror surrounding him (“Where You Are”). In another part of the prison, the Warden denies reports of torture in the prison. We know, however, that the accusations are true. In the midst of one of these tortures, Valentin tries to cope by remembering the love of his girlfriend (“Marta”). After additional torture, Valentin’s crippled body is thrown into the cell. Molina again calls upon the glamorous Aurora who appears and helps him minister to Valentin’s wounds (“I Do Miracles”). Marta also materializes. That night, during their meal, Molina tells Valentin about his fondness for a waiter named Gabriel (“Gabriel’s Letter”) while Valentin reminisces about his first love (“My First Woman”). Molina begins gasping with cramps. 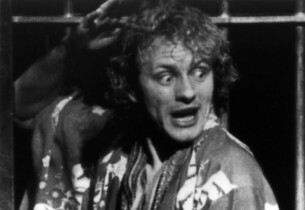 He is taken to the infirmary where he hallucinates (“Morphine Tango”). Molina sees his mother wearing a movie usherette’s uniform and seeks her forgiveness. She tells him she would only be ashamed if he did something cruel or uncaring (“You Could Never Shame Me”). Then, the Spider Woman appears and she and Molina converse (“A Visit/Morphine Tango”). Molina recovers and is token back to his cell. The guards bring more food to Valentin who has not eaten for three days. After he eats the food, Valentin is wracked with pain and cramps. As Molina comforts him, Valentin utters Marta’s name and faints. Molina wishes he could experience the love that Valentin feels for Marta (“She’s A Woman”). The Warden increases his pressure on Molina to betray Valentin by telling Molina that his mother is getting sicker. Valentin begs Molina to tell him a movie because it will help the pain. Molina recounts Amazon Love, set in a South American jungle and carries Valentin further into the fantasy of his beautiful world to save both of them from the stark, deadly reality of the prison (“Gimme Love”). Molina continues to entertain Valentin by telling him another motion picture in which Aurora sacrifices herself for her lover (“Russian Movie/Good Times”). Valentin says he has a movie of his own, which does not have a part for Aurora, no singing, no dancing … just the truth (“The Day After That”). Molina becomes increasingly torn between his love for Valentin and his worries about his mother’s health. He also remains unwilling to get politically involved. The Warden summons Molina and tells him his mother’s health is getting worse. He lets Molina speak to her on the telephone (“Mama, It’s Me”). Molina agrees to get the Warden the names of Valentin’s comrades. Back in the cell, Molina tells Valentin he is being released in the morning. Valentin asks him if he could make a few vital phone calls for him. Molina refuses, despite his longing for Valentin and desire to please him. The Spider Woman materializes, knowing this web of intrigue, fate and betrayal will soon bring Molina to her (“Anything for Him”). Valentin calculatedly seduces Molina, knowing he can manipulate him into doing his political bidding. 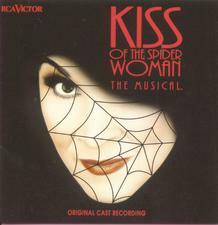 As the men are entangled further in her web, the Spider Woman reappears (“Kiss of the Spider Woman”). The next morning, Valentin again asks Molina to deliver a message. Molina refuses to get involved, fearing he is weak, until Valentin kisses him. Emboldened, Molina acquiesces and agrees to deliver Valentin’s message. As Molina leaves the prison, the Warden asks him one last time for names. Molina writes several down and leaves. The Warden knows the names are false and orders his guards to follow the window dresser. On the streets, Molina realizes he is a stranger to the life he once knew. He visits his mother and, after gaining her reluctant permission, makes the fateful telephone call for Valentin. In the prison, Valentin is being interrogated by the Warden. Molina, his face horribly bloodied and his body beaten, is dragged in. The Warden pulls out a revolver and threatens to kill Molina if Valentin does not reveal the names. Molina warns Valentin that if he obeys the Warden’s demand, Valentin will have betrayed him. As Molina proclaims his love, the Warden shoots him. In the moment before his death, Molina experiences his ultimate technicolor fantasy (“Only in the Movies”) in which he dances a joyful tango with the Spider Woman, celebrating his release from pain. She gives him her fatal kiss. 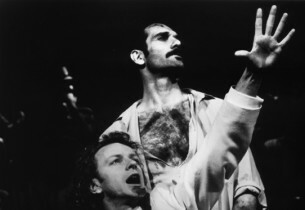 With a book by Terrence McNally, and a score by John Kander and Fred Ebb, Kiss of the Spider Woman, based on the novel by Manuel Puig, first opened at the Shaftesbury Theatre in London on October 20, 1992, under the aegis of Garth Drabinsky’s Livent company, for a run of 390 performances, in a production directed by Harold Prince and choreographed by Rob Marshall. 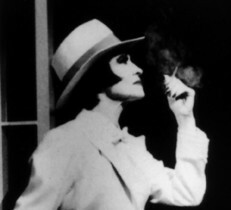 Among the many accolades it received, was the prestigious Evening Standard Award for Best Musical. 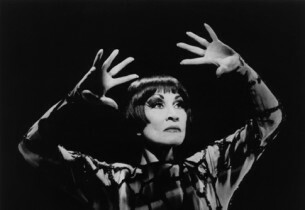 It moved to Broadway on May 3, 1993, where it had a run of 904 performances, with Chita Rivera again playing the lead, and Brent Carver and Anthony Crivello reprising the roles they had created in London.